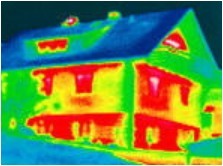 As energy prices rise, energy-efficient buildings are becoming increasingly attractive. The Energy Performance Certificate shows the energy efficiency of a building and also provides concrete advice on how refurbishment can save energy. More transparency in the real estate market for tenants, buyers and owners. This problem can be solved with the Energy Performance Certificate, which aims to bring more transparency to the real estate market and provide all market participants with reliable information on the energy requirements and energy quality of a building. Anyone wishing to buy, rent or lease a flat or house in future will be able to use this certificate for an easy comparison of interesting properties, and will have an important guide at hand which provides orientation and aids the decision-making process. The Energy Performance Certificate also offers reasonably priced initial guidance to owners planning to refurbish a building. It captures the most significant building data, provides information on the building’s energy status and shows whether refurbishment is in fact necessary. Concrete modernization recommendations in the Energy Performance Certificate can be used to plan the refurbishment of a building or to develop more detailed energy advice. With the new Energy Saving Ordinance (EnEV 2007), Germany has translated the EU’s energy performance for buildings directive (EPBD) into national legislation, the main concern of which is the introduction of energy performance certificates. To make a harmonized and coordinated implementation of the EPBD possible throughout the EU Member States, a joint European Concerted Action was initiated. The EnEV 2007 became effective on 1 October 2007, as a result of which the Energy Performance Certificate will be introduced in stages for existing buildings in Germany. From 1 July 2008, an Energy Performance Certificate must be provided for residential buildings completed before 1965 which are up for sale or rent. It will become compulsory for newer buildings from 1 January 2009. The provision of a certificate for non-residential buildings becomes obligatory from 1 July 2009, after which date an Energy Performance Certificate must be placed in a clearly visible location in public buildings with more than 1000 square metres of floor space. The Energy Performance Certificate was already introduced for new buildings in 2002. This article is already 38987 Once seen.